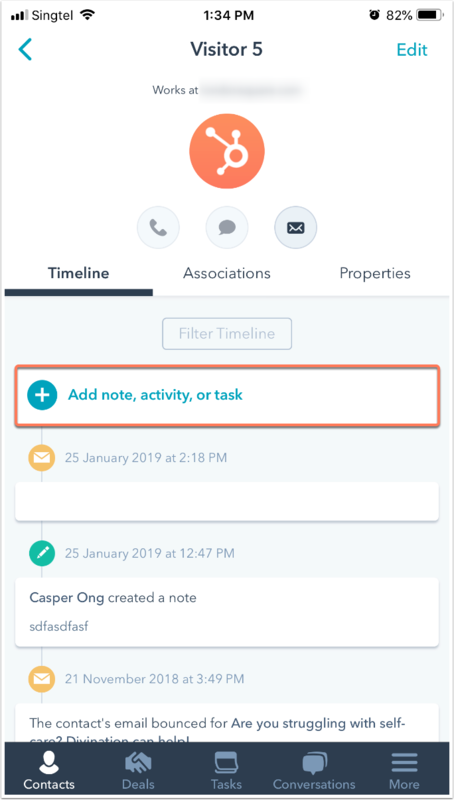 Where some activities were not logged on a record (e.g., a last minute meeting with a client that was not booked in the record), you can choose to manually log the activity. In the left panel, click the Log icon add. In the dialog box, click the Log a call dropdown menu to select the type of activity to log (i.e. Log a call, Log an email, Log a meeting). 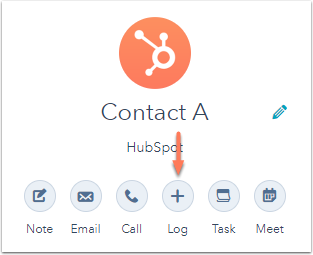 When logging a call, click the Select an outcome dropdown menu to categorize the call's outcome and click the Select call type dropdown menu to categorize the call's nature. Learn how to create call types. When logging a meeting, click Add a contact to add another attendee to the meeting and click the Select meeting type dropdown menu to categorize the meeting's nature. Learn how to create meeting types. Click the date and time to update the date and time of the activity. Click the icons in the formatting bar to format your text. The activity will appear on the timeline of the records shown in the Associated with dropdown menu. Click the Associated with dropdown menu to search and select records you'd like to associate with the activity, or deselect records to dissociate them from the activity. When you're done, click Log activity. The activity will now appear in the record's timeline. To log a note, activity or task on a contact record, tap the name of a contact. 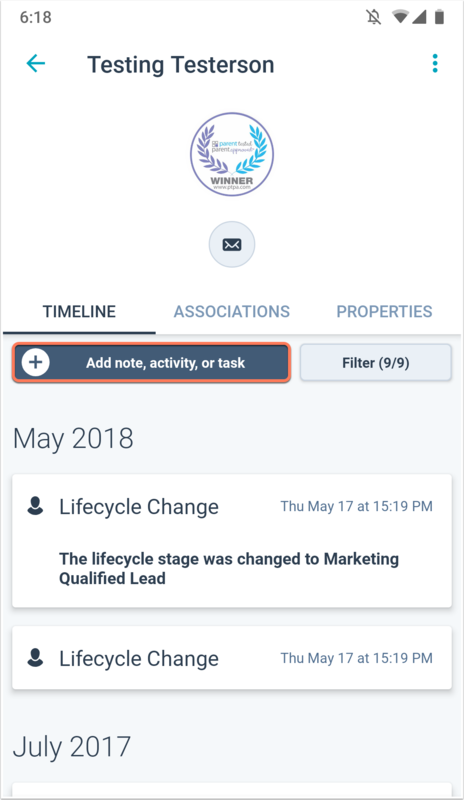 To log a note, activity, or task on a company record, tap the Companies tab, then tap the name of a company. In the Timeline tab, tap Add note, activity, or task. Enter the details for your note, activity, or task, and then tap Save. The note, activity, or task will now appear in the record's timeline.